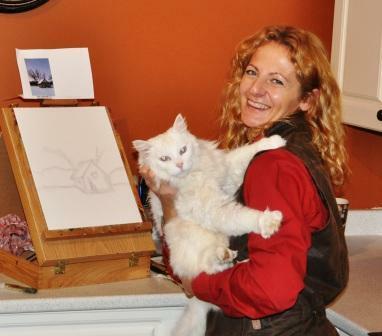 Nicole Vaugeois is an artist who specializes in images of rural life using acrylics and photography. Her work is displayed at the Broody Rooster Guesthouse and Gallery in rural Yellowpoint/Cedar area, south of Nanaimo. She teaches classes and workshops and hosts a summer show and art sale where workshop participants can share their work.